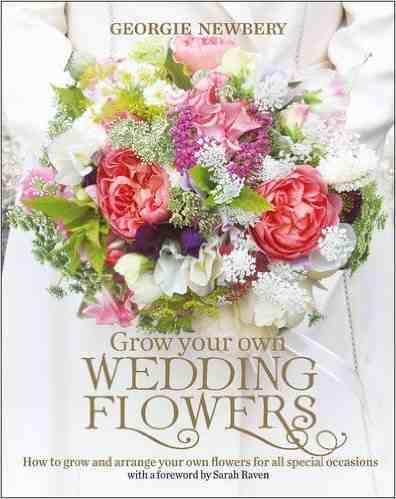 Grow Your Own Wedding Flowers. Georgie Newbery. 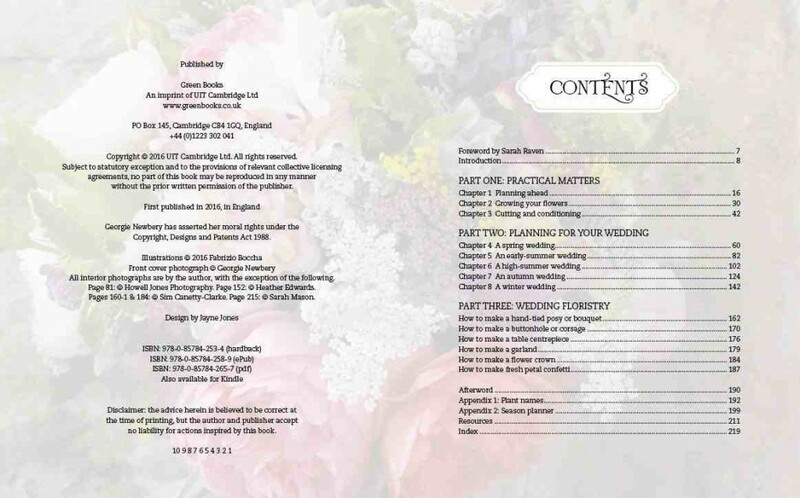 Georgie from Common Farm Flowers has been at it again…author of ‘The Flower Farmer’s Year’ has returned with another belter…this time aimed at those poor, lost souls intent on getting wed. The average cost for wedding flowers runs at between £1500 and £2000. 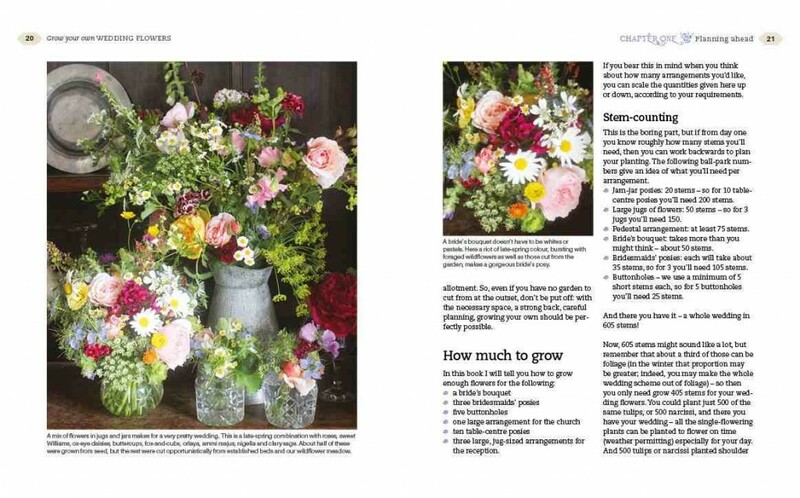 Georgie’s book encourages folk to bring a more personal element to their ‘special day’ (shudder) by growing their own wedding flowers….whilst saving a few bob at the same time. Right…first off the bat…this book isn’t aimed at me. I am terrified of brides and point blank refuse to produce flowers for weddings. 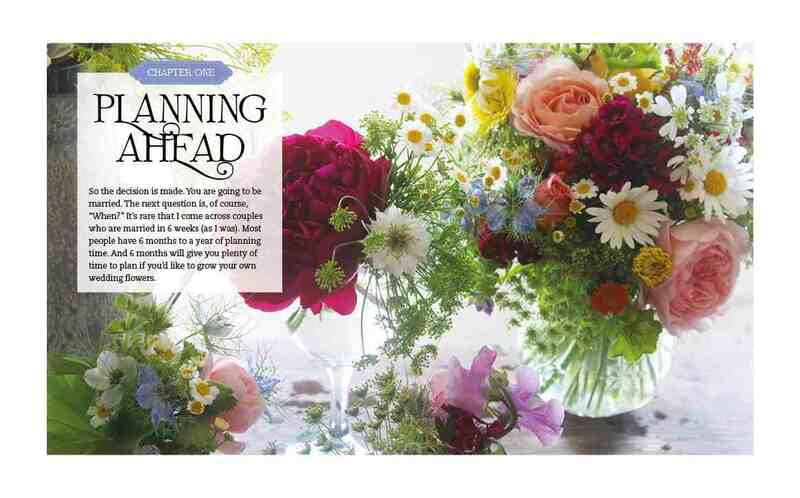 I’ll do funeral flowers until they’re coming out of my ears…I LOVE a good funeral but weddings…no…not for me thanks. This of course means Georgie’s book comes as a Godsend as I can now simply send wedding punters in its direction via my seedy emporium. Georgie’s previous book ‘The Flower Farmer’s Year’, certainly has more information on how to go about the business of growing flowers for cutting. Whereas ‘Grow Your Own Wedding Flowers’ has a good deal carefully set aside to demonstrate how to go about the floristry aspect of the caper. I have heard on the flowery grapevine that Common Farm Flowers do fifty weddings a year…yes fifty…so I expect she knows what she’s on about. It certainly seems so…and the book is written in Georgie’s clear, concise and witty style which is as informative as it is entertaining. Interestingly there is a forward written by a lady called Sarah Raven…I’m sure that you, much like myself aren’t familiar with this name….so…to get you up to speed I did some Googling and discovered that Mrs Raven grows some flowers behind the old closed down Pound Shop on the Littlehampton ringroad. ‘Grow Your Own Wedding Flowers’ is out today…you can get yourself a slice of the floral action by clicking over to ‘Green Books’. Georgie Newbery is a very approachable lady…you can find her on Twitter and Facebook.